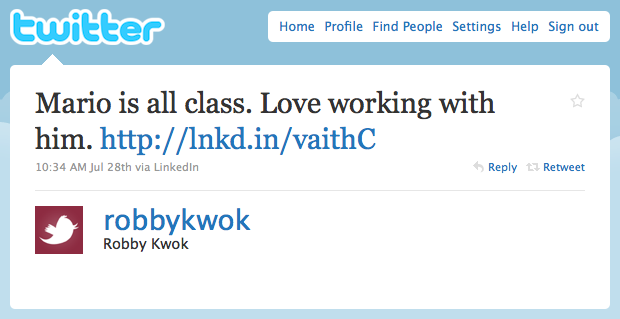 As LinkedIn’s social media guy and given my experience around community marketing, I get quoted on social media themed articles or blog posts. Here are the three most recent quotes that appeared in some of my favorite blogs and magazines – Inc. Magazine, Mashable and Chris Brogan’s blog – where I talk about social media best practices. Inc Magazine compiled a HOW-TO post for those social media marketers who are trying to put together a set of social media guidelines for their employees who are active on social media sites. I’ve warned of the dangers of not having a social media policy and if your company doesn’t have one, this article should probably set you straight. 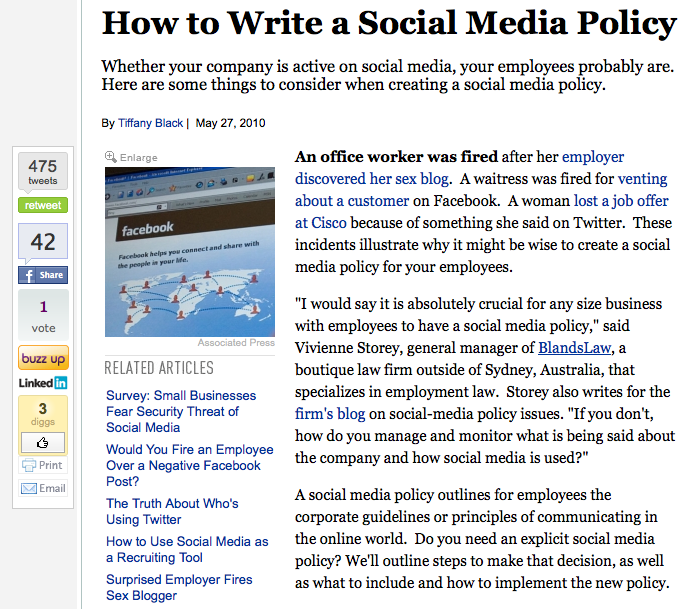 I’d also recommend your check out my other posts on Social Media Policy that I’ve written these past few years. They contain tips and tricks, pros and cons and even how to actually get it written. This is the most recent post I was quoted on. Thrilled to find that this post was trending on Mashable over the weekend. Vadim Lavrusik asked me and 5 other community managers – from Foursquare, Howcast, Meetup, Sears and Read Write Web – to share our tips for aspiring community managers. A couple of my thoughts made its way to the post. For anyone looking for a job (especially one in the social media space), I’d highly recommend your investing time in a career blog. 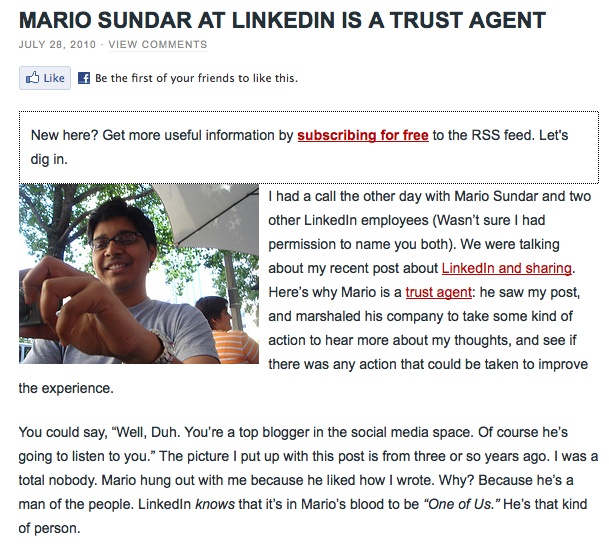 Sundar also got help from blogging. He said he found his job for LinkedIn because of blogging and believes taking an hour a day to blog on social media topics will help you stand out from the rest of the social media crowd. 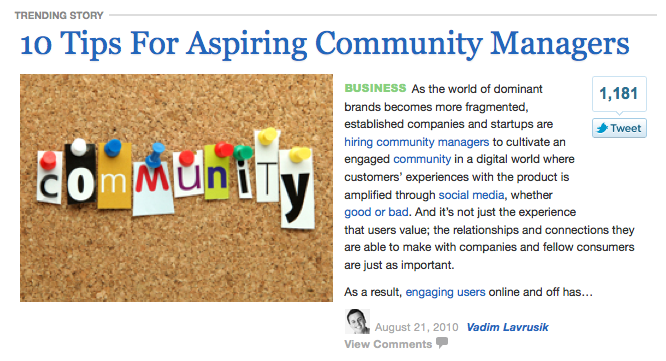 Here are posts I’ve written in the past months on Community Marketing. Feel free to bookmark for later reference. This is the most personal of the three blog posts but is thematically very similar to Mashable’s recent post, since it covers one of the most important traits for a community manager – earning the trust of your community. Chris is a dear old friend whom I’ve known for many years and I’ve often talked to Chris over the years about LinkedIn, what some of his pain points were and what would make his LinkedIn experience better. 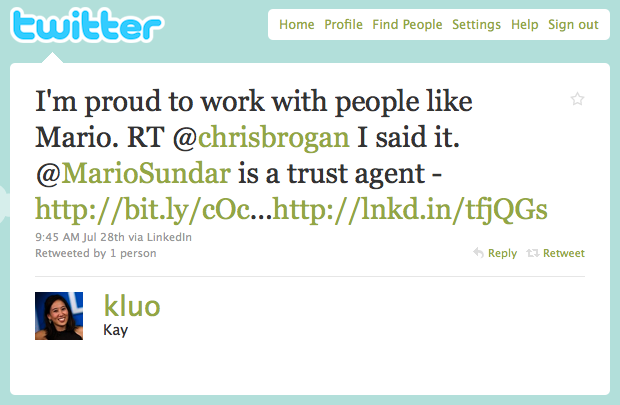 What did Mario do for LinkedIn by listening to my thoughts about the service, and/or bringing in the appropriate team members to help me? He made me love the brand more. That love results in this post. It results in more conversations about how a company is doing it right when I’m on stage in front of thousands of people (tens of thousands if I talk about it over a year). He built more positive brand awareness via my channels than any ad will ever build. Thanks, Chris! This truly made my day and so did the numerous other tweets that came in from people I respect and admire greatly – here, here and here (for e.g). That’s it for the past few weeks. Stay tuned for more and thanks for reading! Thanks to Tiffany, Vadim and Chris for reaching out to me. If you’d like to pick my brain on all things social media for an article you’re writing or a speaking engagement, feel free to contact me via LinkedIn. 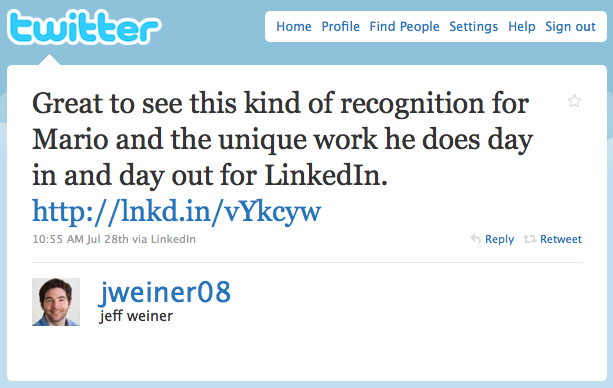 So, here are the tweets from my peeps at LinkedIn whom I respect and admire greatly. Thanks, guys!